Organised by Frances Colville, the fourth Bridport story slam was another wonderful event. I was honoured to act as a judge alongside novelist Rosanna Ley and Nick Macy, manager of Waterstones, Bridport. Author Laura James was an excellent MC at the event. Sixteen writers entered the story slam although owing to constraints of time, only twelve were able to read. Each writer shared an original story taking up to 5 minutes for the reading. We were impressed by the high quality delivery from all the writers, readings were offered to engage and entertain. The stories took us to places far and near as well as emotional journeys of recovery and love. There was much humour, too: from a chuckle to the laugh out loud variety. 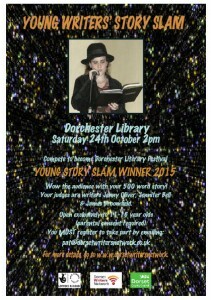 Here are details of an exciting new story slam which is offered by the Dorset Writers’ Network as part of the Poole Festival of Words 2015. Thrill and surprise the audience with your 500 word story (to be read within 5 minutes). 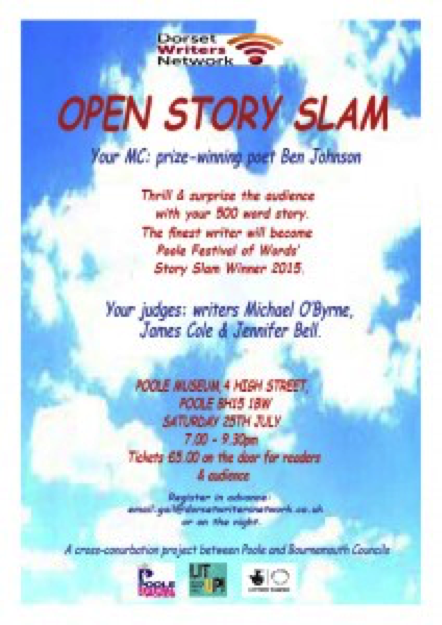 The finest writer will become Poole Festival of Words’ Story Slam Winner 2015. Your judges: writers Michael O’Byrne, James Cole and Jennifer Bell. 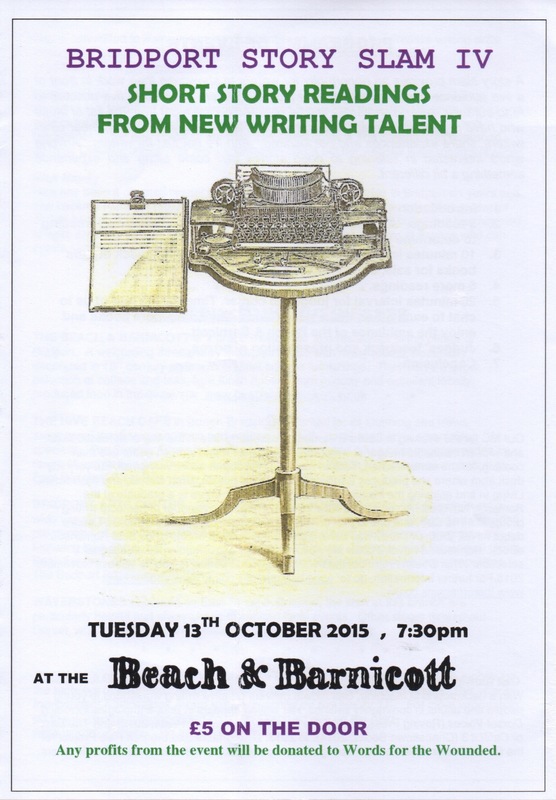 Register in advance by emailing gail@dorsetwritersnetwork.co.uk to give your name or turn up on the night. Ten names will be selected from a hat to fill the reading slots scheduled for the evening. This event is of interest to readers and writers alike. You will be able to listen to a range of stories and experience something a little different. As part of the Dorset Digital Stories project, a series of workshops will be held in January and February 2015 at rural locations throughout the county. The idea is to encourage local writers to submit a story up to 500 words for inclusion in a new e-book. All stories will be set in Dorset so that the anthology reflects the diversity of Dorset: from the human perspective to the sense of place. 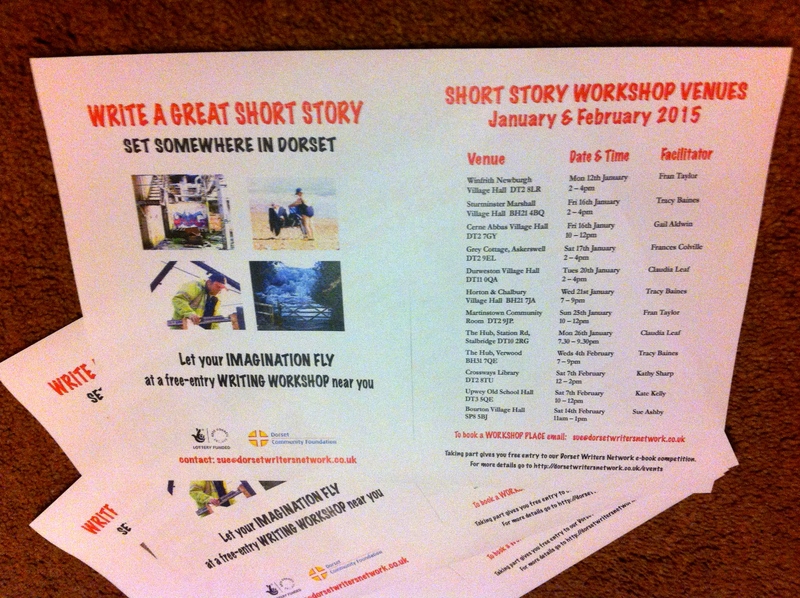 I will be delivering a workshop on Friday 16 January 2015 from 10-12 at Cerne Abbas Village Hall DT2 7GY. Everyone is welcome! To book a place please email sue@dorsetwritersnetwork.co.uk or get in touch with me through the contact page on this blog. For details of other workshops please click here. The email group for MPhil students at the University of South Wales has shared some helpful links recently. 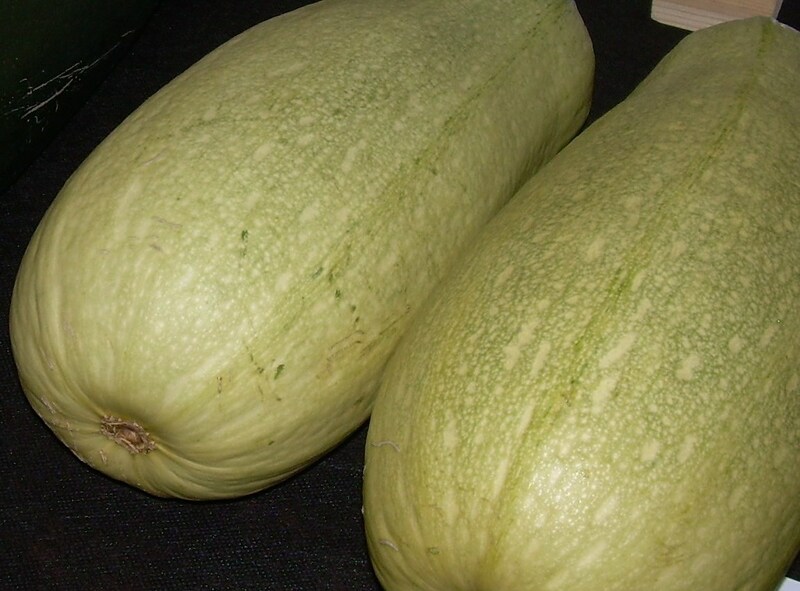 Here are a couple that might be of interest to you. Locating London’s past is a new website that allows you to search a wide body of digital resources relating to early modern and eighteenth-century London. A great point of reference for historical fiction writers. Submissions are sought for the Dundee International Book Prize 2014, with a £10,000 cash prize and a publishing contract with Cargo Publishing. Budding authors are invited to enter their debut novels by 3 March 2014. More locally, the Wimborne Writing Group are holding a book launch on Thursday 6 February at 6:30pm in Gullivers Bookshop, Wimborne to celebrate the publication of the anthology Grapes on the Vine. Everyone welcome. The Bridport Prize is offering a new category of novel award entry to its traditional annual competition for poems, short stories and flash fiction. £20 entry fee. With the success of last year’s event, the Dorset Writers’ Network are hosting another story slam as part of the Open Book Festival in Bridport. Organised by Jennifer Bell of Storyslingers, the evening will be modelled on previous story slams where participants are asked to register in advance through zomzara@googlemail.com (or turn up and register on the night). If there are more registered writers than time slots, the names will be entered into a draw. Each time slot is five minutes maximum (about 780 words). All genres and styles of original prose welcome. This is a fantastic opportunity to showcase your talent so get writing and share your work with a supportive and enthusiastic audience. 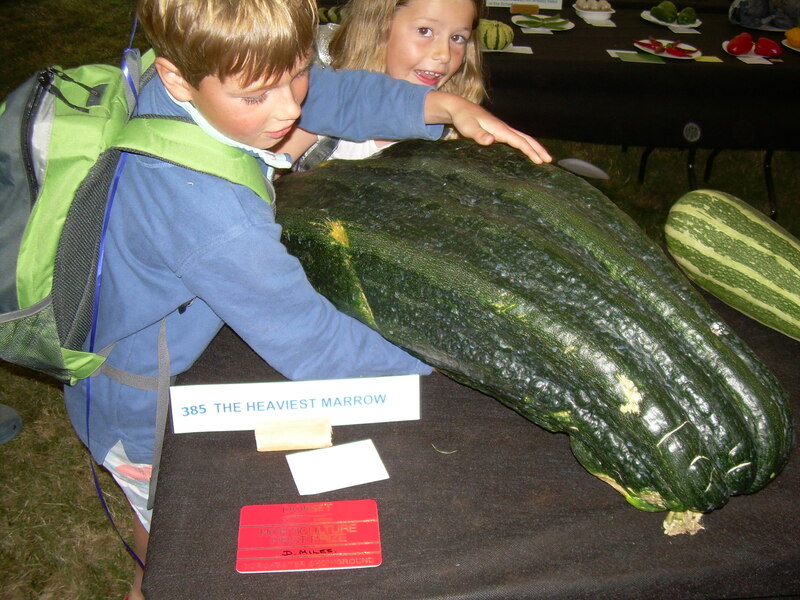 The County Show has been celebrating the countryside and all things Dorset since 1841. 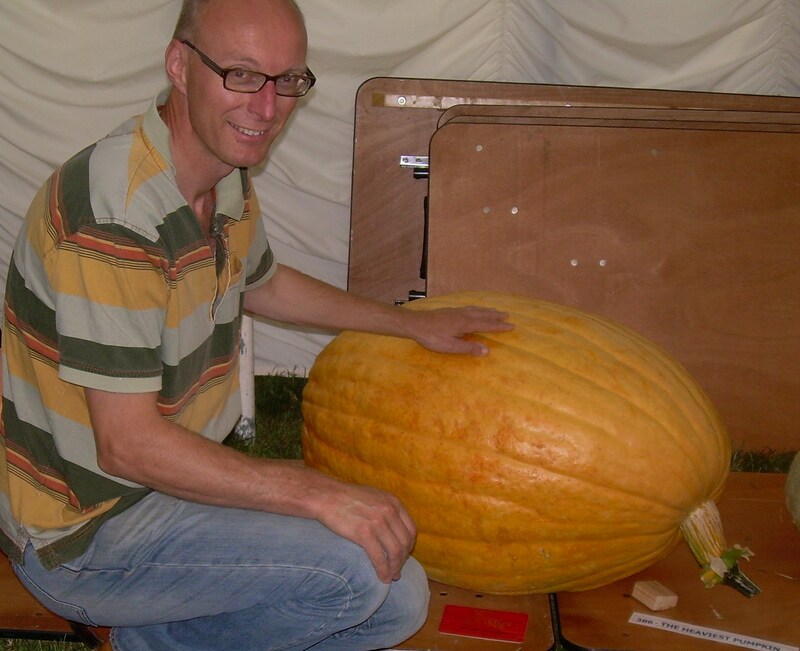 These days there’s a focus on family entertainment, showcasing agriculture and shopping but the old traditions of a county show remain, including the competitions. There are 1,000 competitions to enter and although we didn’t spend much time looking at the livestock, the homecraft and horticultural tents are endlessly fascinating. I wonder what Mary Berry and Paul Hollywood would make of that! These had my husband anticipating an entry for 2014. After all the excitement there was one last treasure. 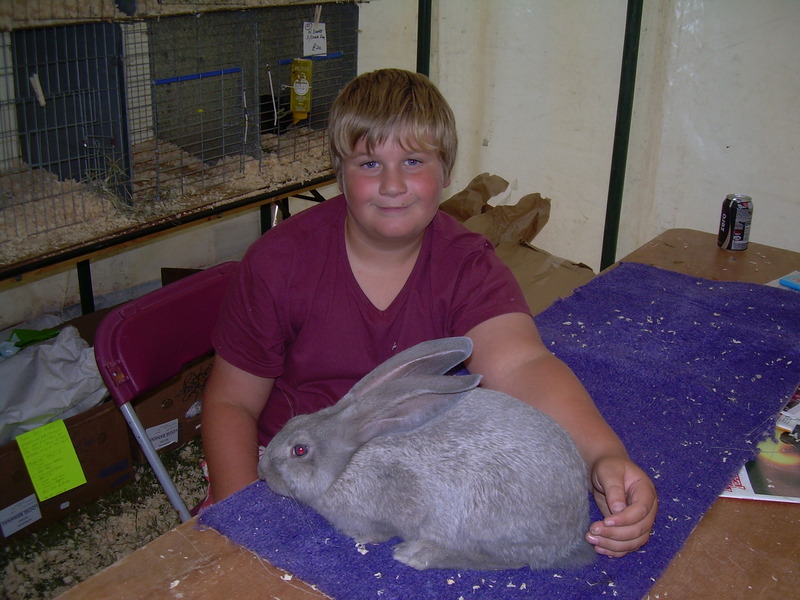 An opportunity to stroke the loveliest of rabbits and meet the proud new owner. During a long journey yesterday I listened to ‘When God was a Rabbit’ by Sarah Winman. The family saga was brilliantly read by Emilia Fox but the story was predictable in places. 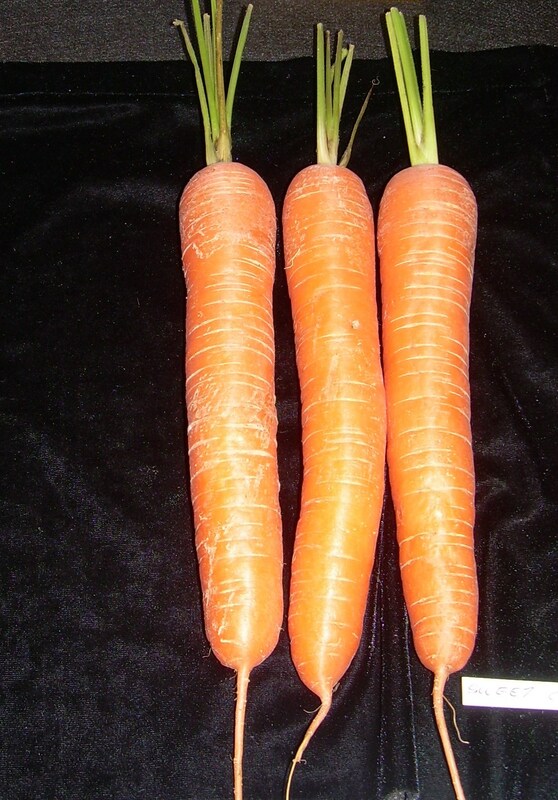 Rabbits at the show and one in a novel – that must be enough rabbits for one week.